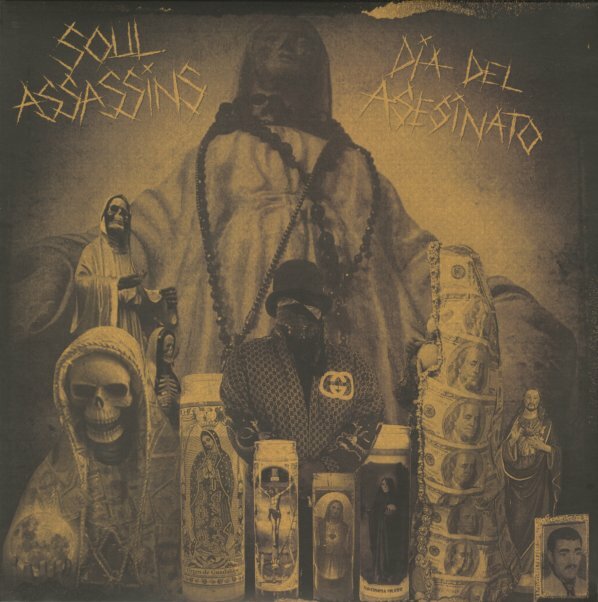 DJ Muggs in a raw, neo classic NY gritty hip hop mode – and if you're going to pull that blueprint off convincingly, you may as well be one the architects – really doing a solid, timeless job here! This is tough, terse, top notch stuff with a strong guestlist to suit, including legends like Kool G Rap, Raekwon & MF Doom and contemporary heavies like Freddie Gibbs and Meyhem Lauren. Includes "Santa Muerte", "Day Of The Dead" with Kool G Rap, "Assassination Day" with MF Doom & Kool G Rap, "Yacht Party" & "Black Snow Beach" with Raekwon (plus Meyhem Lauren on the latter), "Blue Horses" & Contagion Theory" with "Mach Homey", "Duck Sauce" with Eto, "Death Wish" with Freddie Gibbs and more. © 1996-2019, Dusty Groove, Inc.